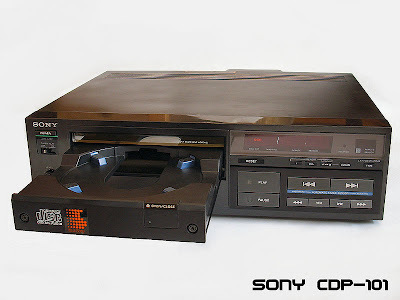 I really don't have anything for you today, except that 30 years ago today the first consumer compact disc player went on sale in Japan. Here it is. As you can see, that goofy logo has existed from Day 1. This thing cost about $730, which would be something like 1700 bucks in today's money. For that kind of money it should come with a high-end laptop computer wrapped around it. Or a puppy. 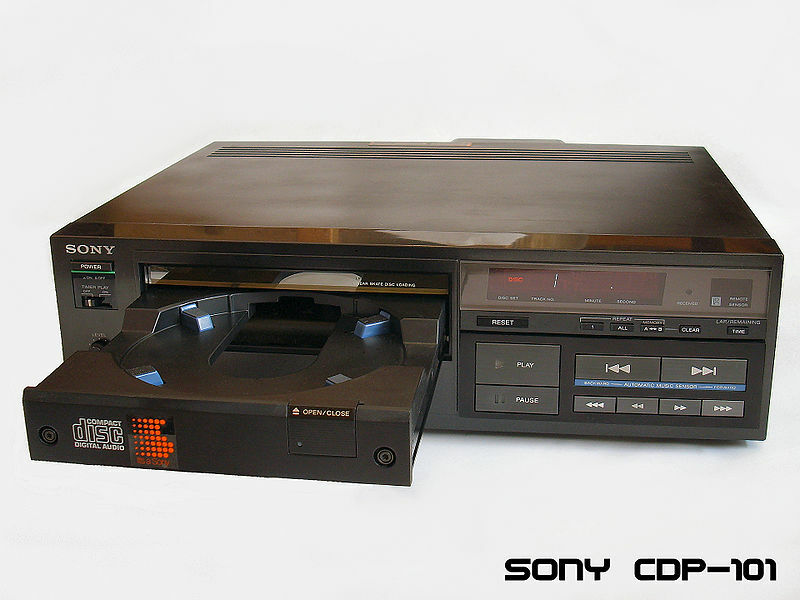 Happy birthday, CD player. You were one ugly baby, I must say. And you still can't beat a vinyl record played on a quality turntable. But you make better music than a puppy. I'll give you that.